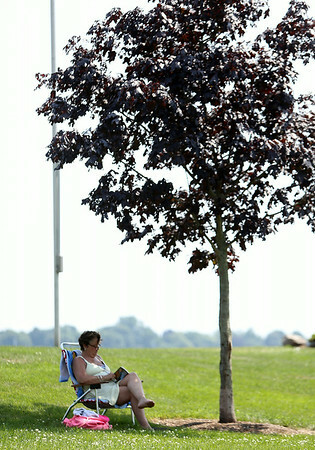 Kimberly Talbot, of Beverly, reads while sitting under the shade of a small tree at Dane Street Beach on Wednesday afternoon. DAVID LE/Staff photo. 7/23/14.